Print Publishing is a business process to digitize end-to-end publishing system. It helps lowers costs, speeds time-to-market, and improves customer engagement and satisfaction.The technological revolution has challenged the traditional view of publishing and created new digital resources for enterprises to collect and access data. Content publishing has always played an important role in the marketing promotional mix, and companies have always been on the lookout for new methods to integrate their publishing funnel seamlessly. 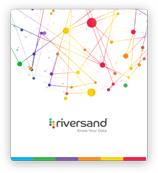 Riversand Print Solution effortlessly integrates with the Riversand PIM system. It extracts data for crafting and publishing a wide range of materials from data sheets and product catalogs to sales manuals, flyers, labels, and leaflets, both digitally and in print. Riversand offers businesses an efficient medium to access data from Product Information Management (PIM) system and create product publications, with a polished editorial look, which can be quickly and efficiently distributed for in-house use and across all the media channels..